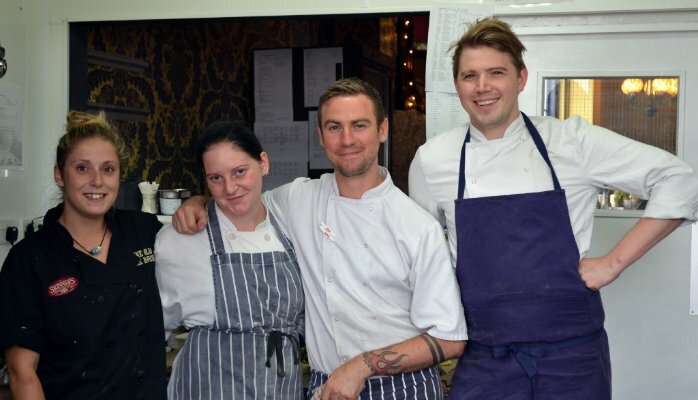 > Mission: To tell the people of Cornwall about the Old Ale House’s new summer menu, in partnership with River Cottage. > Challenge: Since opening, two successful press launch evenings have resulted in fantastic coverage from journalists, bloggers and influencers. As the restaurant evolves, the new food offering might be brilliant, but the story isn’t new anymore. So how do we create a high impact campaign? Well, instead of throwing a party – filling the restaurant with journalists and providing free meals, why not invite the public instead, thereby giving potential customers the chance to experience the restaurant for themselves? And the Exclusive Summer Preview night was born. The primary message was, ‘Restaurant in Truro offers 100 free meals to lucky diners.’ Let’s face it, it’s not difficult to build excitement about a fantastic restaurant giving out 100 free meals. A press release was circulated, generating coverage in the main Cornish newspapers. Best of all, it’s such an attractive offer that it stimulated unbeatable user-generated content. Power to the people. But the secondary message was, ‘This is to celebrate our brand new summer menu’, which is the underlying purpose of holding the event. This is the part when we talk about brand partnership, ethical values, training, and the reasons why the Old Ale House is so much more than just a tap house. To qualify for the free meal, users had to visit the Old Ale House website and register their details. This met two marketing objectives. It increased unique traffic to the website, which was a new domain since the relaunch of the restaurant. For the registrants who don’t win, they will have discovered more about the Old Ale House – where it is, what it’s all about, maybe even taken a peek at the online menu and ultimately soaked up some of the brand. In addition to this, we now have an invaluable membership database that we can use to offer exclusive deals and promote events. Winners were delighted to receive a call from the Old Ale House team. We had made people’s day. The ‘losers’ (so to speak) received an email inviting them back to taste the new summer menu with a free pudding throughout July, so all is not lost. As for the Exclusive Summer Preview night? After an afternoon of staff training, which crucially involved tasting the entire menu, they launched into dinner service. We took the time to talk to our guests to gather feedback – well it was a free meal after all. Overall, guests were bowled away. Most hadn’t been in before, didn’t know the pub had gained a restaurant upstairs, and partnered up with River Cottage. All said that they would definitely come back. Social media was buzzing, with #SummerAtOAH spreading the word out. Post-it notes were provided on tables to ask for feedback throughout the meal (and to provide visual social media content). The evening flagged up a few inevitable operational snags to be solved, but that’s the whole point of a soft launch. Overall, we amplified the message of the new summer menu in the most positive way – delighting customers and widening our audience.